Only the highest quality teas are selected by CISCO Tea Company from top wholesale distributors and manufacturers world wide. The finest whole leaf teas come from growing estates all over the world. Every tea bought is sealed airtight, stored, and kept fresh in our Tea House located in Massachusetts. Each and every selected tea goes through a rigorous tea tasting process to ensure the perfect sip. We select our teas based on the specific country of origin, growing conditions, processing, and most importantly taste. Being the most diverse food product in the world, we ensure the purest form of white, black, green, oolong, and pu-erh teas to satisfy our tea lovers. 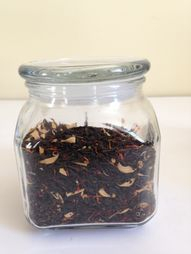 We hand-mix these general teas with delectable herbs and fruit to create our mouth watering specialty blends which hold a native taste amidst the New England province. Here at Cisco Tea Company, we pride ourselves in customer service. As a local small-business company, we admire the concept of family and guarantee the utmost satisfaction from all of our customers. We have an obsession for producing the best quality teas ever tasted in this area. As the popularity of tea spreads rapidly, keep in mind the personable and unique quality of our products.